Blurred Images - "On The Horizon"
Blurred Images is the perfect name for 19-year old Jose Banuelos’ solo project, because the eight instrumental tracks that comprise On the Horizon are like watercolor paintings done in sound. And despite the artist’s youth, the sound is mature and confident, creative and relaxing. While one could say that Banuelos draws on the aesthetics of the shoegazers, it’s only as a starting point. He shies away from the noisy backdrops that the shoegazers loved in favor of a softer, more melodic sound reminiscent of the gentle side of Durutti Column. Each track is composed of layers of guitar patterns, swirling in and around each other, sometimes set to placid drumbeats, at other times just standing on their own. From the folksy The World Thru a Window, to the mellow, liquid psychedelia of In the Night, to the spacious and dreamy Outside, every track has its own atmosphere, and paints its own unique picture. Banuelos even explores some electronic minimalism on the final piece, In Dreams, allowing his subtle guitar-work to brush strokes of color across a hypnotic synthesizer sequence. On the Horizon is like the score for the movie of your mind’s eye. 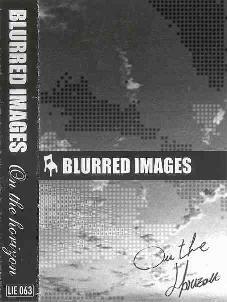 For more information you can visit the Blurred Images web site at: http://www.geocities.com/blurredsound. On The Horizon is distributed by Best Kept Secret. You can visit their web site at: http://www.indiepages.com/bestkeptsecret.